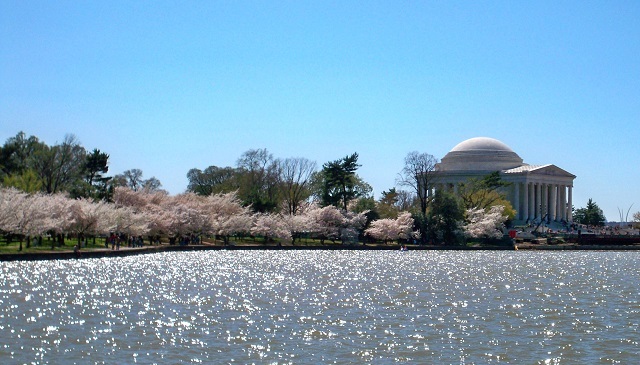 The cherry blossoms blooming in Washington, DC. The city urban tree canopy is about 35 percent. Photo by Karen Blaha/Flickr. While the words “forests” and “cities” don’t traditionally go hand in hand, urban forestry has started to bridge that gap. While some cities have minimal tree cover due to inadequate soil or a lack of space, others are nearly half covered by these leafy, carbon-storage machines. Additionally, in recent decades, cities around the world have started to think about urban forests and their benefits as the need for climate change mitigation has increased. On the whole, trees improve the quality of life for the millions who live and work in urban areas by filtering polluted air, reducing smog formation, preventing erosion and cleaning up contaminated land, supporting local wildlife, and sheltering buildings from heat and cold—saving up to 10 percent of the energy needed to regulate a building’s temperature. Omotesando Avenue, Tokyo. Photo credit: Kakidai/Wikipedia. After the city was bombed during World War II, the number of trees on Tokyo’s streets fell from 105,000 to 42,000—nearly 60 percent. In the years following, the city lost another 35,000 due to disease and as many were cut for firewood. Fire from the bombings destroyed much of Tokyo’s forest cover in addition to decimating street trees, creating large empty parcels of land as well. In 1946, the city created a plan to secure 10 percent of urban lands for green areas and turn the barren parcels of land into urban parks. Beginning in 1948, the city started restoring street trees as well when new supplies of trees became available from nurseries. By 1980, the number of street trees exceeded 235,000. As of 1990, 21,630 hectares of Tokyo’s green space is made up of forest, meant to help conserve water—one of the many benefits of tress for the natural environment. 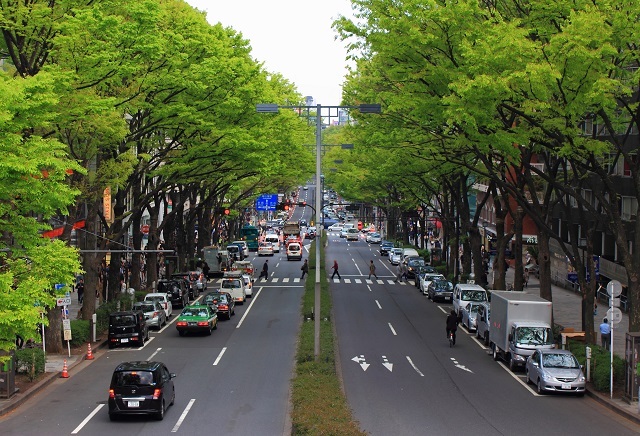 Tokyo’s urban forests and trees have also helped to supply the city with clean drinking water, a system of wastewater disposal and storm water control. Ireland is called the “Emerald Isle” for the large amount of green space in its countryside, and it should come as no surprise that the same can be said for its cities. 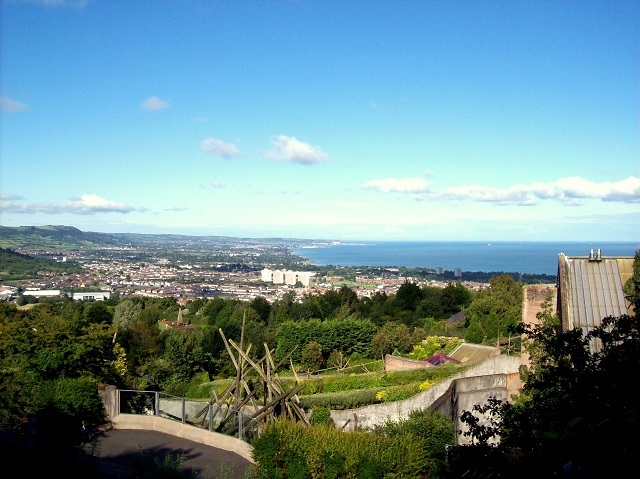 Formed in 1992, the Forest of Belfast in Northern Ireland includes all of Belfast City. Since the end of the Troubles in 1998, nearly 200,000 trees have been planted across parks, playing fields, streets, schools, factories, and along streets and river banks. The Forest of Belfast’s management has brought together partners from local and central governments, environmental organizations and local citizens who become volunteer Tree Wardens. With the help of the Belfast City Council, support from European funding aimed at promoting peace and reconciliation has allowed the partnership to help 300 groups plant 90,000 trees in the last three years alone. Until recently, the perception of forests in much of the United Kingdom has been that the “woods” are out in the countryside and are meant to provide habitat for wildlife and act as a means of timber production—and that cities have trees only for aesthetic beauty. There is now growing recognition that trees can provide a whole range of benefits to cities, thanks to the Forest of Belfast. Washington, DC. Photo by Moya Team/Wikipedia. 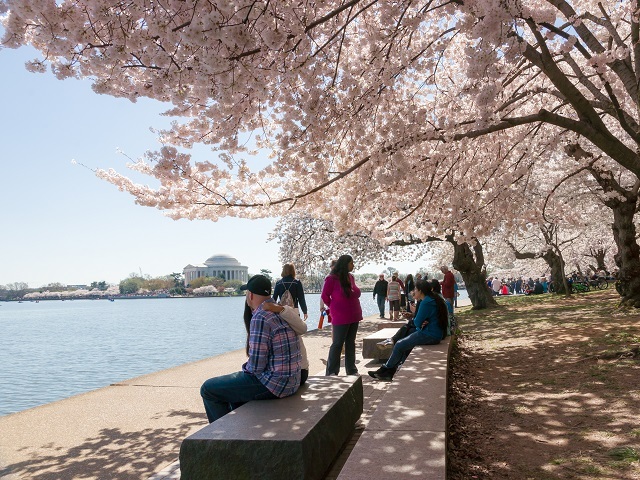 The District of Columbia has a long history of planning, enhancing and maintaining its urban forest. Beginning in 1872, Governor Alexander Shepherd ordered that 60,000 street trees be planted systematically to “improve the quality of life in the Nation’s capital.” Because of his actions, DC’s unofficial title became The City of Trees. Since then, there has been a municipal agency responsible for tree maintenance across the city. As of today, DC’s urban tree canopy hovers near 35 percent, with nearly 2 million trees across the city. These trees remove 540 tons of pollution per year, store 526,000 tons of carbon and reduce the cost of energy usage in buildings by $2.6 million per year—resulting in an estimated $96,000 in avoided carbon emissions. So, city dwellers, let’s begin thinking of ways to better incorporate these trees and forests into our daily lives. While moving out to the country may have been the way to connect with nature’s benefits in the past, it’s not the only solution now.